WOODLAND – The Woodland Community Swimming Pool Committee (WCSPC) has revised plans for a YMCA and pool facility in Woodland, after a bond presented to voters in the Woodland Pool and Recreation District that would have provided funding for a pool facility failed last November. 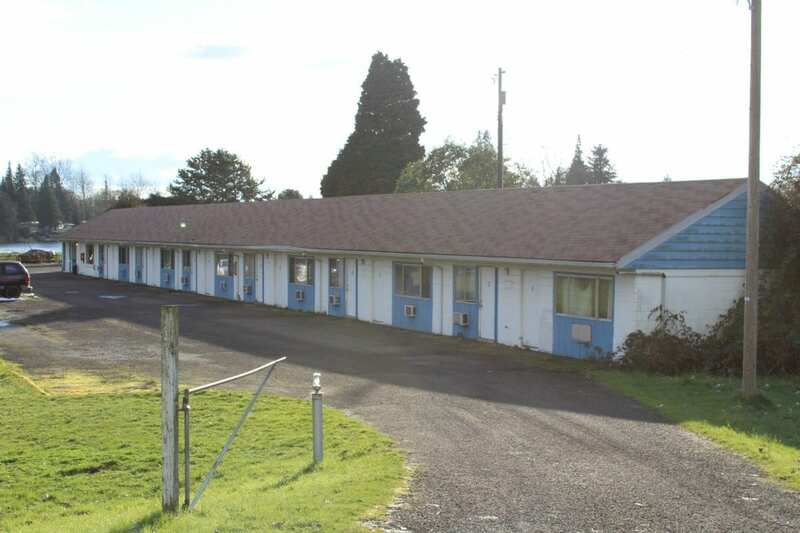 The bond would have helped pay for a combined pool and YMCA facility that would have been built on the site of the Lakeside Motel near Horseshoe Lake in Woodland. According to Benno Dobbe, president and chairman of the WCSPC as well as the owner of the Woodland business Holland America Flowers, the WCSPC now plans to move forward with a plan to build a YMCA facility first and once funding is secured, potentially run a future bond and construct a pool should the community show interest in it. “We cannot go against the advice of the district voters,” Dobbe said, and this was the reason behind the plan to build the YMCA first and then reexamine the feasibility of constructing a pool adjacent to it at a later date. The Woodland Pool and Recreation District shares the same boundaries as the Woodland School District, and was established in the event that money would need to be raised from a bond to fund a pool facility. By building the YMCA first, Dobbe said that voters and taxpayers will not have to fund the YMCA project. He said that the YMCA can be fully funded through major donors, grants, foundations, new market tax credits, philanthropy and gifts in kind. Once the funding is secured to build the YMCA, it will be constructed at the site of the Lakeside Motel. Dobbe said that he believes the project could be fully funded and completed in the next several years. Completing a YMCA without a pool does not mean that the long-standing dream of building a community pool in Woodland is over. 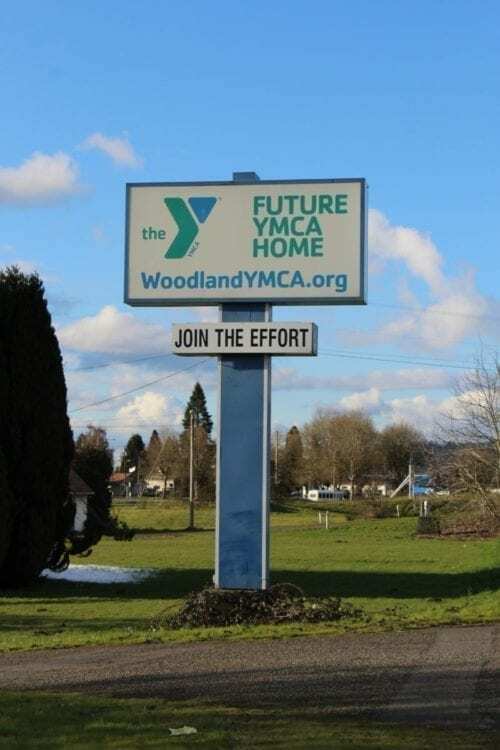 Dobbe said that once funding is secured for the YMCA, voters could be approached again with the feasibility of placing a bond measure on a future ballot to fund just a pool facility on property adjacent to the YMCA. 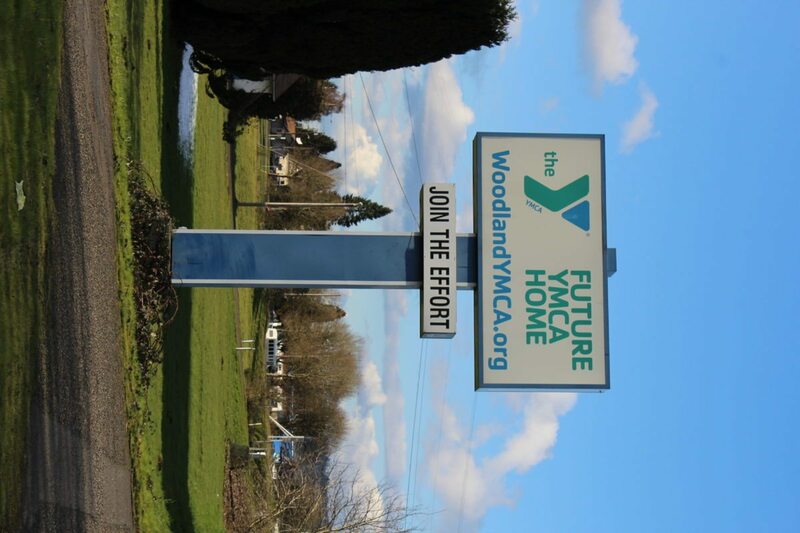 After the failure of a bond measure that would have funded a combined YMCA and pool facility at the site of the Lakeside Motel in Woodland last November, the Woodland Community Swimming Pool Committee has formulated a plan to develop the site with just a YMCA, with the option to add a community pool on an adjacent property after the YMCA is completed. Photo by Alex Peru. If the potential bond passed, Dobbe said that the pool facility would be built on land that he and his wife Klazina currently own adjacent to the motel site. Should the potential future bond pass, the Dobbes would donate that land to the project. The pool facility would then be run and maintained by the YMCA. Dobbe believes that the future completion of a YMCA in Woodland will help the eventual construction of a pool because “then the excitement for the whole project will go up.” Despite voters not approving the original bond measure in the fall, Dobbe said that he believes “the majority of the district wants a pool facility,” but were not in favor of some of the details and timing of the previous request. Dobbe said that he believes voters will be pleased that the YMCA can be built without any district tax money. “It looks very promising that we can get it done within a couple of years,” he said. After determining that building a YMCA first without a pool facility was the best course of action, Dobbe said that he reached out to past donors to the pool and community center project to notify them of the plans, and give them the opportunity to have their donations set aside specifically for the pool project. After reaching out to the donors, Dobbe said “I was very, very pleased,” that no donors said that they wanted to set their donation aside for a future pool facility specifically, rather than being used to fund the YMCA project. As well as creating excitement and momentum for the eventual construction of a pool facility, Dobbe said that constructing a YMCA first will mean that, if a future bond for a pool is presented to voters, the bond amount and corresponding tax rate would be less than the proposed rate of last year’s bond measure, as they will be paying for the pool facility alone, not a combined pool and YMCA facility. Should the plan proceed, the YMCA will pay for the maintenance and operations of the pool facility, Dobbe said, and explained that this would reduce the cost to taxpayers by preventing any maintenance and operations levies from ever being needed. Dobbe said that the feedback he has received for the new course of action has been “extremely positive. Everyone is very excited about it.” He explained that the new plan makes the most sense because major donors would not be able to raise the money needed to build both the YMCA and pool facility. Despite the failure of the bond in the fall, Dobbe said that the attitude of many in the community is still in favor of a recreational facility and a pool. “That is still definitely a dream by most people in the community,” Dobbe said.